I finally did it! 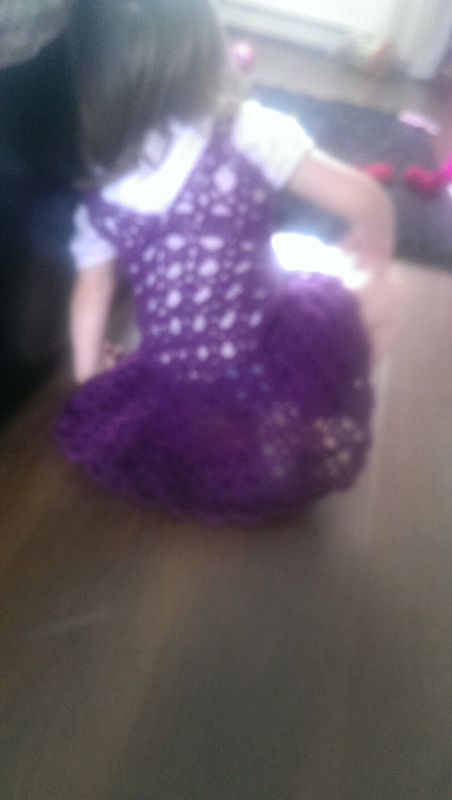 I finished the toddler dress I was making. I had to adapt the last row (top row) of the bodice part because no matter what I did, the stitches just wouldn’t fit, even though the previous rows were all correct. 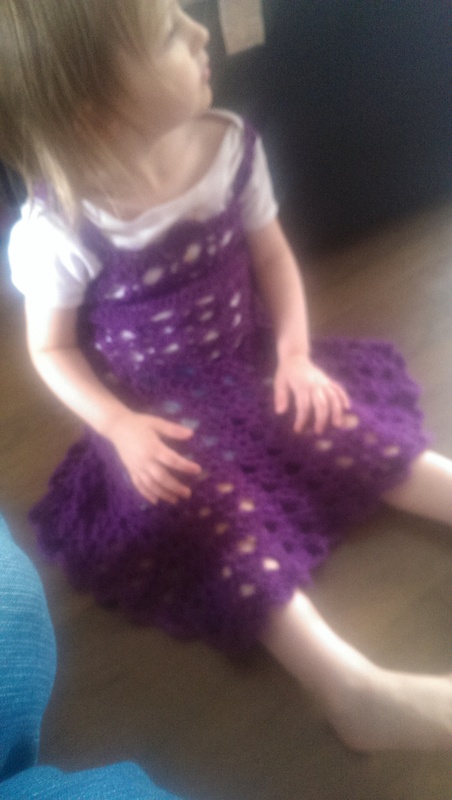 I also extended the straps and added extra rows to the bottom to make it longer (as my daughter likes swooshy dresses). 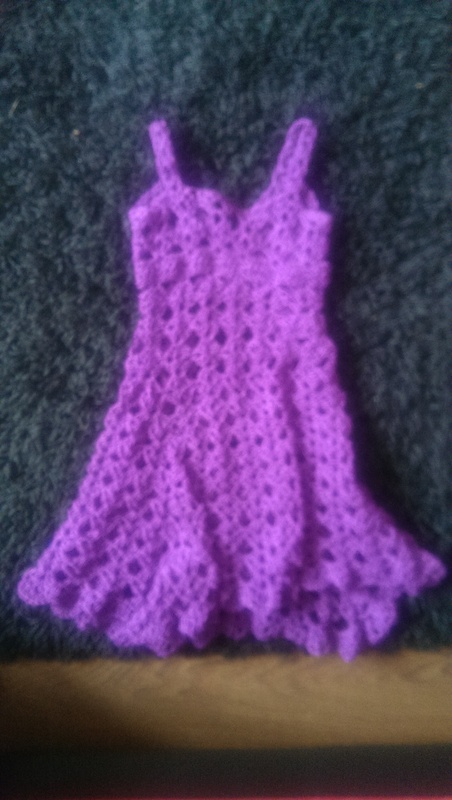 It should have a fabric material under layer but I like it as it is.